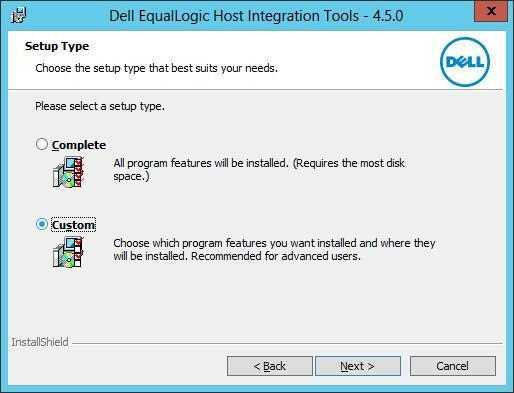 To obtain the Dell EqualLogic Host Integration Tools 4.5.0, requires registration of your Dell EqualLogic PS Series Array with the Dell EqualLogic website, and obtaining a username and password. Then you can proceed and download the required software. 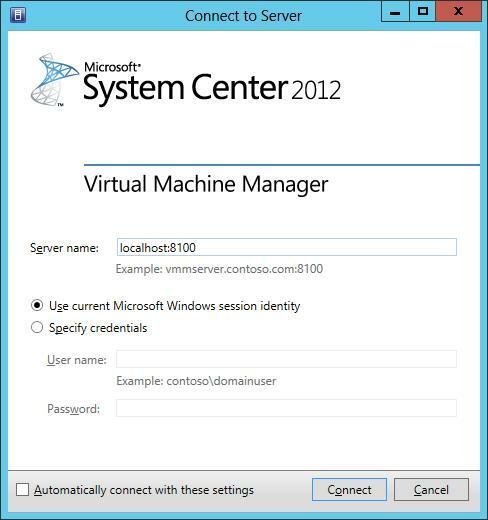 It is beyond the scope of this document, to show how to install Microsoft System Center Virtual Machine Manager 2012 SP1 (SCVMM) on Microsoft Windows Server 2012, and connect to your Dell EqualLogic PS Array. 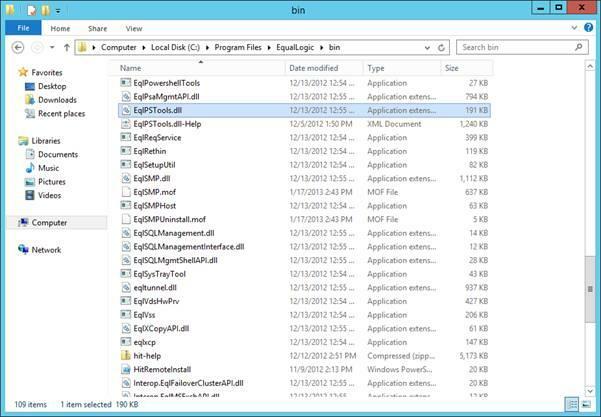 It is assumed that you have already installed Microsoft System Center Virtual Machine Manager 2012 SP1 (SCVMM) on Microsoft Windows Server 2012, and connected to your Dell EqualLogic PS Series Array. 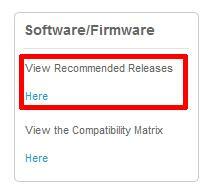 Click the Software/Firmware, View Recommended Releases Here link on the Support Homepage. 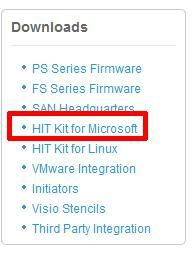 Click the HIT Kit for Microsoft link. In this tutorial we will complete a very quick and basic setup and by no means exhaustive. Refer to the Dell PS documentation that comes with the HIT KIT for all the available options. Install Host Integration Tools (HIT) 4.5 on the Windows 2012 server that runs SCVMM 2012 SP1, The installation program will complete all the set up required. If the server is not accessing the storage directly, DSM installation can be skipped. 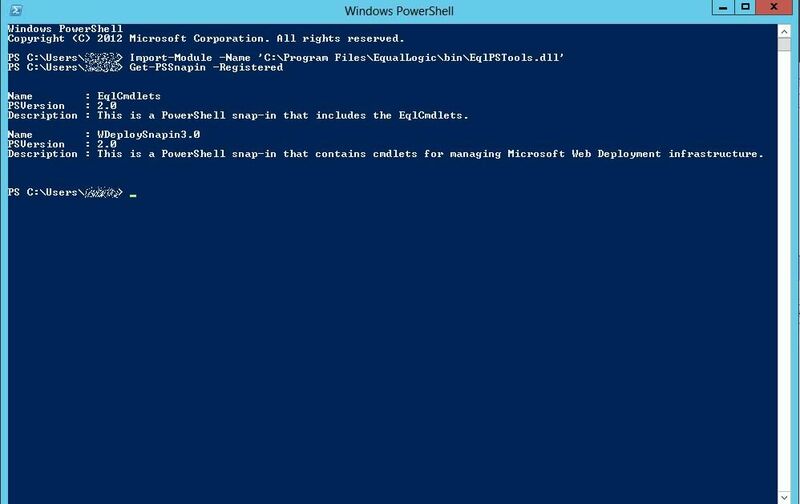 PowerShell and SMP are required, it can work without ASM but then all configuration must be done through Powershell. It's probably unlikely that your SCVMM 2012 SP1 server needs to access any VM LUNs. 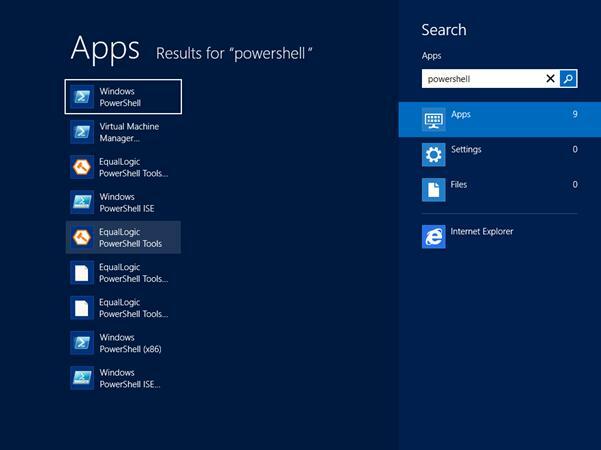 Start Windows PowerShell from the New Windows 2012 UI or start EqualLogic Powershell Tools, if you start the later you don’t have to import the EqualLogic PowerShell Snapin. (EqlPSTools.dll), and you can skip the step below. 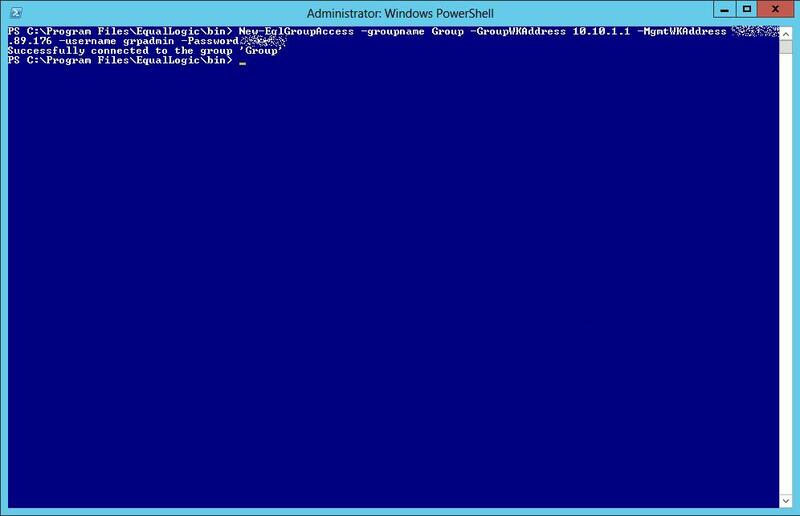 Find the path to EqlPSTools.dll, the default location for the powershell snapin is C:\Program Files\EqualLogic\bin. Type Import-Module -Name 'C:\Program Files\EqualLogic\bin\EqlPSTools.dll' in the Powershell window. 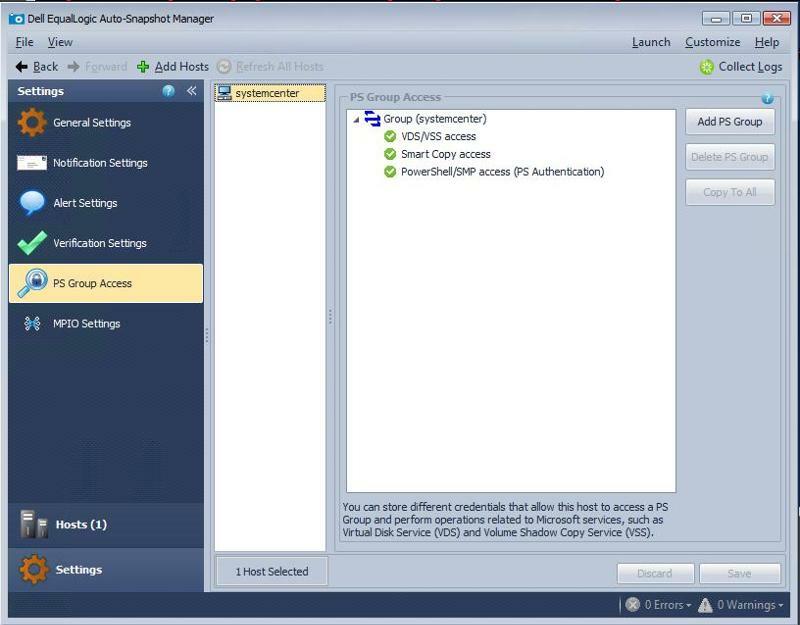 Create a new group and assign access, using the PS Group Name, Group IP Address, Management IP Address and grpadmin credentials. The new group name is not to be confused with the group name, that's already been created on the Array. This is a "label" for the powershell creation process, so its good idea to use the same group name, but the two are not connected in anyway. 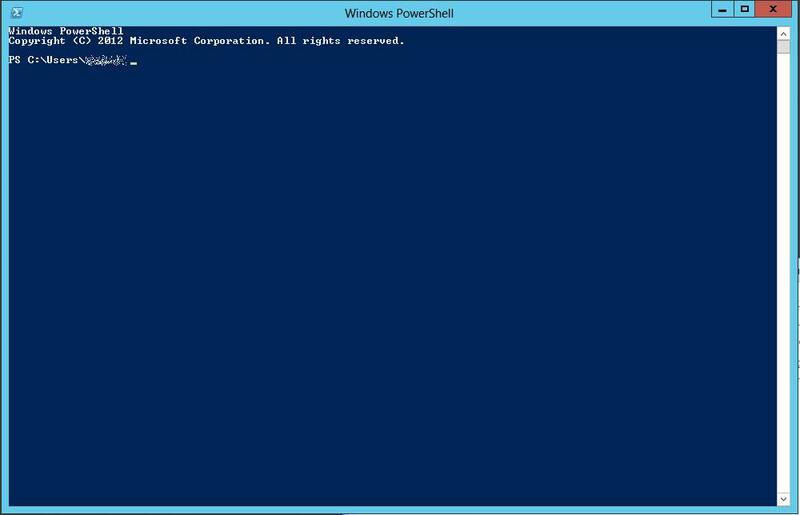 Type the following in the Windows Powershell window. 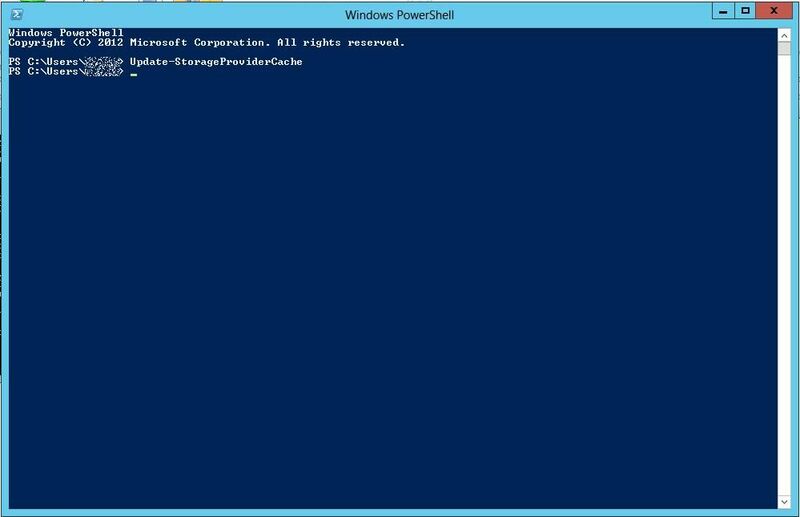 Restart the server running SCVMM 2012 SP1 or type the following cmdlet in the Windows Powershell window. The Dell EqualLogic PS Array provider (SMP) will show up under Storage / Providers. Before the provider will be available in SCVMM, another cmlet needs to be typed into the Windows Powershell window. Type Import-SCStorageProvider in the Windows Powershell window. Depending upon the number of pools this could take quite a while to complete. 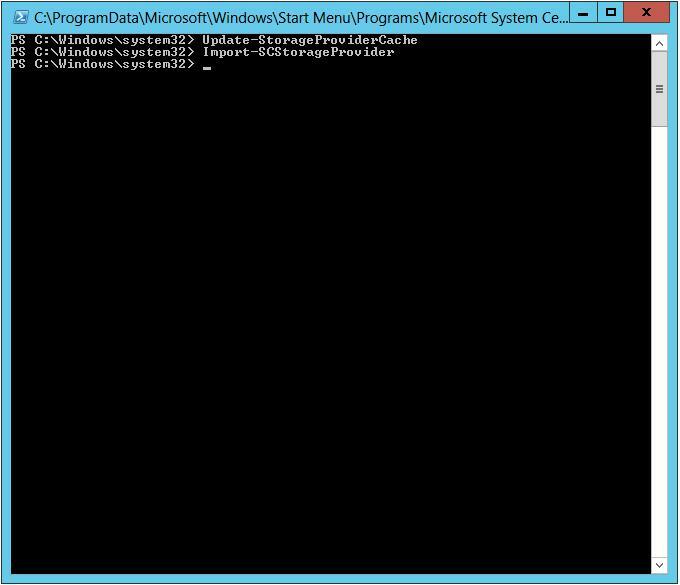 Restart or refresh SCVMM 2012 SP1 client. This is how the SMP will look, status should be ‘Responding’. If you click Arrays, you will see your PS Array Group, it should be Responding, and report Manufacturer and Model of Array, Total and Used Capacity. Congratulations, you have successfully Added a Dell EqualLogic PS Series Array (SAN) to System Center Virtual Machine Manager 2012 SP1 as a SMP Provider. 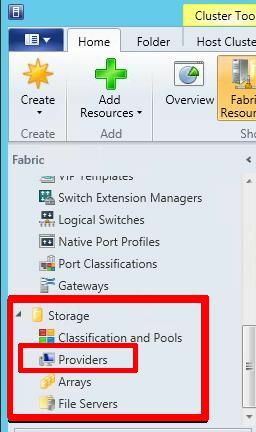 In my next article in this series, we will show you how to assign VMM managed pools, and created logical units in the pools.